We still want your shorts – get your films to us before 10th May. Uncanny Valley celebrates ‘the illusion of motion’, an ancient and endlessly ingenious quest to fiddle with the space twix brain and eye. 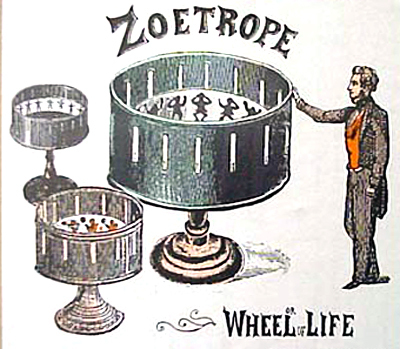 Zoetropes, popularized in the mid-19th century were a device crafted to beguile, entertain and delight. 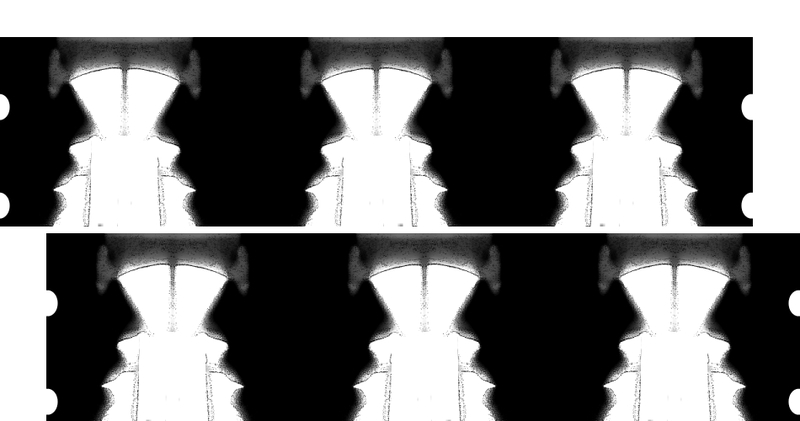 A sequence of still images, spun on a wheel or within a drum, create the illusion of motion when viewed through a series of slots. By the 1860s projected moving images were displayed using a magic lantern zoetrope. Zoetropes still have the power to amaze and confound onlookers, and this is especially true in the case of 3D zoetropes. Artist Peter Hudson created a large scale, 3D zoetrope that uses a strobe light to animate human figures swimming on a large rotating disk. This stroboscopic human powered zoetrope ‘Sisyphish’ was originally unveiled at Burning Man in Navada 2002. This was followed with a series of 3D zoetropes exploring the cyclical, mythic qualities of ‘The Wheel of Life’.